Residents of Water's Edge get all the benefits of living in Northlake Park in Lake Nona such as nature trails, tennis and basketball courts, the dog park and Lakeside park with the YMCA and sport fields. 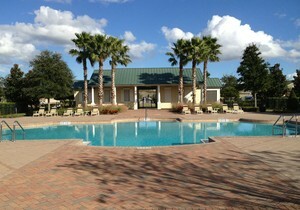 But they also get the added benefit of living in a private gated community within Northlake park. If that is not enough, you will experience waterfront living on pristine Lake Nona with a lakefront park, boat dock and boat storage area. 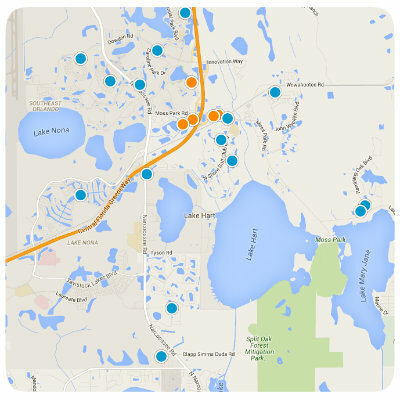 See how Water's Edge's amenities compare to other Lake Nona area neighborhood amenities. 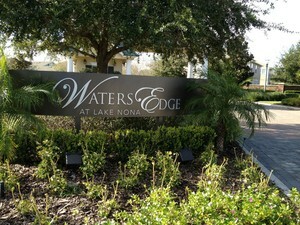 Where is Water’s Edge in Lake Nona? The Water’s Edge Neighborhood is Located -in the back of Northlake Park in Lake Nona with access from Narcoossee Road through Northlake Park or from Dowden Road which connects with Narcoossee Road as well. Water's Edge is just East of Orlando International Airport and shares its Lake Nona lakefront with Lake Nona Golf & Country Club which is right next door. View a Google Map of Water's Edge. Water’s Edge Homes Include - both charming lake collection of single family homes and townhomes from either Park Square Homes or Ryland Homes. This exceptional neighborhood features homes with front porches, colonial style windows and luxurious interior details. The biggest downside to water's edge is that it is the closest neighborhood in Lake Nona to the Orlando International Airport but the big plus is that it is the only community besides the Lake Nona Golf & Country Club that has lake access to the actual Lake Nona. For those willing to pay the premium, there are lots available to build your dream home including a boat dock on Lake Nona. More Photos: View more pictures on our Water's Edge Pinterest Page. Waters Edge/Lk Nona #1 SubDv. Waters Edge/Lk Nona Un #1 SubDv. Waters Edge/Lk Nona 03 C-F & SubDv.